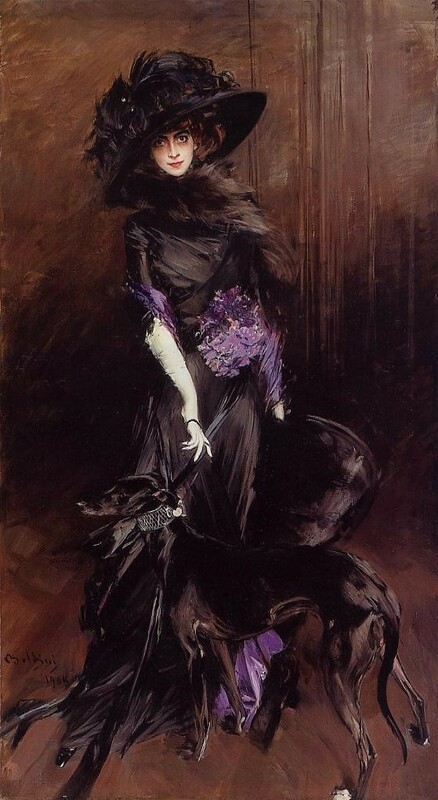 The heiress, socialite and artist’s muse Luisa Casati, known for her outlandish dresses, exotic pets and hedonistic lifestyle, was born on this day in 1881 in Milan. 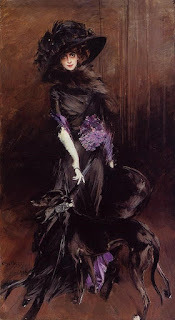 Casati, born into a wealthy background, married a marquis – Camillo, Marchese Casati Stampa di Soncino – when she was 19 and provided him with a daughter, Cristina, a year later, yet the marriage was never strong and they kept separate residences from an early stage. It was not long before she tired of a life bound by formalities and the strict rules of etiquette and everything changed after she met the poet, patriot and lothario Gabriele D’Annunzio at a society hunt. They became lovers and D’Annunzio introduced her to the world of writers and artists. Tall, almost painfully thin and with striking looks, she became a creature of fascination for many young artists, who craved the attention of this eccentric aristocrat and the chance to paint her. 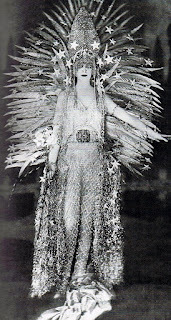 Their interest only encouraged the Marchesa Casati to indulge her taste for the extravagant, posing in ever-more outlandish dresses, embracing the culture of the Belle Époque. Her wealth enabled her to throw lavish parties and in 1910 she moved to Venice, taking up residence in the Palazzo Venier dei Leoni on the Grand Canal, the palace that now houses the Peggy Guggenheim Collection. There she created a fantastical lifestyle, assembling an extraordinary menagerie of pets that included a pair of cheetahs, a boa constrictor, white peacocks trained to perch on her window sills, a flock of albino blackbirds and greyhounds whose coats she dyed blue. 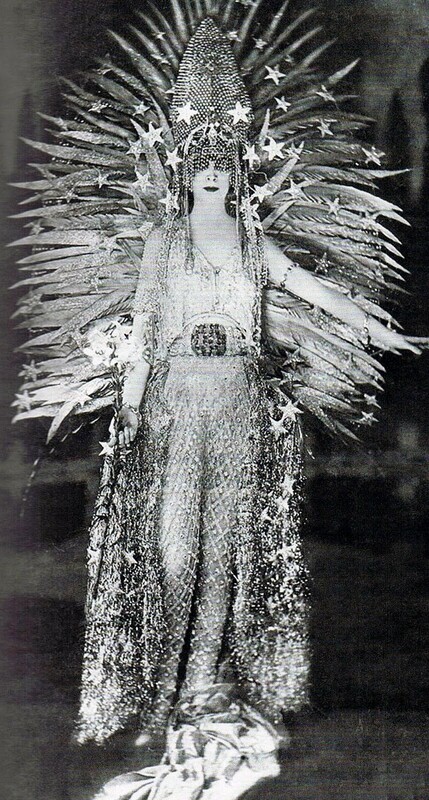 She staged enormous, elaborate parties, in which she paraded herself in increasingly ridiculous costumes, such as a dress made entirely of lightbulbs, which at one point gave her such a powerful electric shock she was thrown backwards across the room. Naturally shy, the Marchesa concentrated on making an impression through how she looked. She contrasted her fiery red hair with skin that she kept a deathly white, dropped belladonna in her eyes to dilate her pupils and framed them with black eye liner and false eyelashes. She delighted in prowling the atmospheric Venetian streets after dark, with her jewel-collared cheetahs on leads, herself often naked beneath a cloak embroidered with emeralds. Her parties, in Rome and Paris as well as Venice, may have seemed like merely excuses for decadence and excess, with opium and cocaine a common indulgence among some of the guests, but were affairs that she choreographed carefully, with clothes, décor and entertainment precisely planned according to whichever theme she chose. She saw herself as a living work of art. She was certainly an inspiration for works of art. Giovanni Boldini, Paolo Troubetzkoy, Adolph de Meyer and Romaine Brooks were among those painters who were in her thrall, along with Futurists such as Fortunato Depero and Umberto Boccioni. She had affairs with several. Augustus John's portrait of her is one of the most popular paintings at the Art Gallery of Ontario. 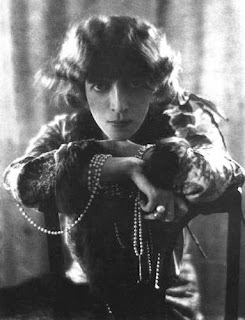 D'Annunzio is said to have based the character of Isabella Inghirami in Forse che si forse che no (Maybe yes, maybe no) on Casati, while the character of La Casinelle, who appeared in two novels by Michel Georges-Michel, was also inspired by her. Plays and movies were written featuring characters based on the Marchesa, with actresses such as Vivien Leigh and Ingrid Bergman in the lead roles. She patronised a number of fashion designers. John Galliano, Karl Lagerfeld and Alexander McQueen created collections based on or inspired by her, while the British designers Georgina Chapman and Karen Craig had her in mind when they opened a fashion house called Marchesa. It was all a far cry from a childhood lived in a palace in Milan and villas in Monza and on Lake Como. Her father was Alberto Amman, a giant in the textile industry who was made a Count by Umberto I and whose death when Luisa was 15 made her and her sister, Francesca, the two wealthiest young women in Italy. But her extravagances did not come cheap. By 1920 she was living on Capri at the Swedish psychiatrist Axel Munthe’s Villa San Michele and moved out of the Palazzo Venier dei Leoni in the mid-1920s. By 1930 she had amassed personal debts of $25 million and was forced to auction off her possessions. 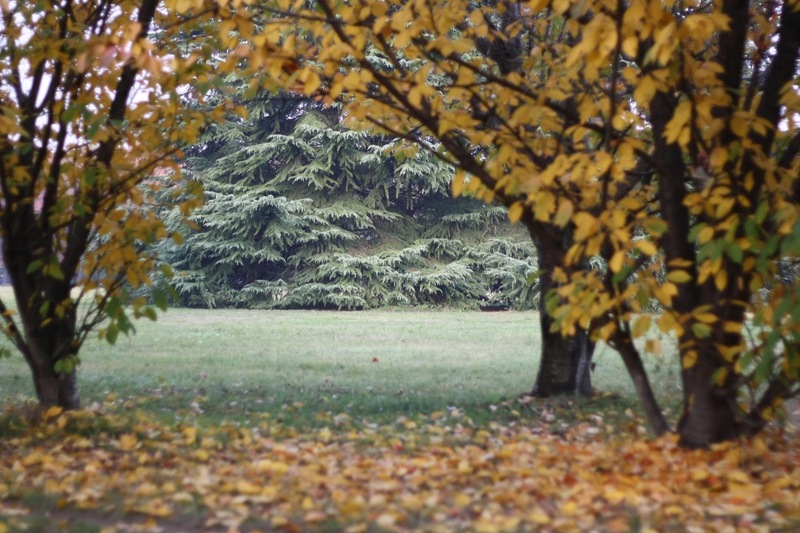 Pursued by creditors, she fled to London and lived in a one-bedroom flat. It was just around the corner from Harrods in hardly the least salubrious part of the city, yet placed her reduced circumstances by her standards. She died in London in June 1957 at her address in Beaufort Gardens in Knightsbridge at the age of 76, having suffered a stroke. 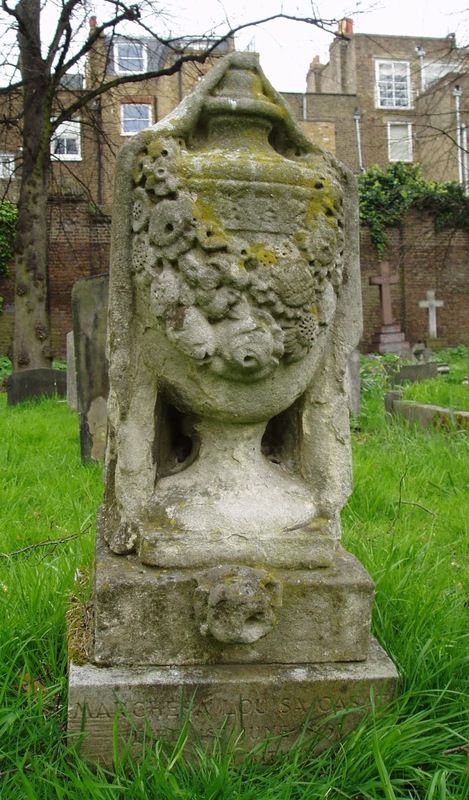 She was buried at Brompton Cemetery, one of her few remaining friends having seen to it that she was dressed in a leopard skin and black outfit and false eyelashes, with one of her taxidermied Pekinese dogs at her side. Among just a handful of mourners at her funeral was an elderly man who had travelled from Venice, where half a century earlier he had been her personal gondolier. Her grave is marked with a small tombstone shaped like an urn draped in cloth, bearing the inscription ‘Age cannot wither her, nor custom stale her infinite variety’ from Shakespeare's Antony and Cleopatra. The Marchesa Casati’s married home in Milan was the Villa Casati, a stately mansion on the edge of what is now Parco Nord, a suburban park that was once an airfield, in Cinisello Balsamo, then a town in its own right, now more of a suburb. 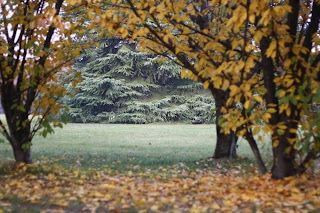 It is on the northern edge of the Milan metropolitan area, about 10km (6 miles) from the city centre. More than 75,000 people now live there. 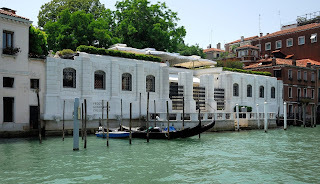 The Palazzo Venier dei Leoni is a palace on the Grand Canal in Venice once owned by a noble Venetian family of the 14th to 16th century, three of whom – Antonio Venier, Francesco Venier and Sebastiano Venier – were Doges. 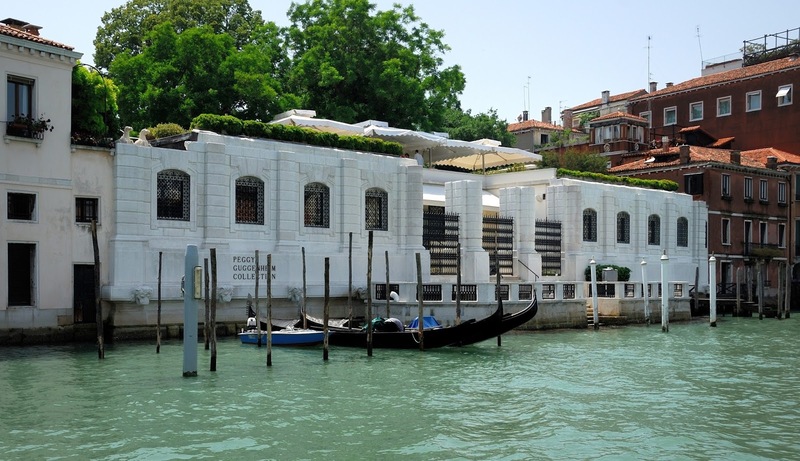 It was bought by the American socialite and arts patron Peggy Guggenheim in 1949 and she lived there for 30 years, opening her collection of artworks to the public for the first time in 1951. It is in the Dorsoduro quarter of Venice, near where it emerges into the lagoon, accessed from San Marco via the Accademia Bridge.